I have very mixed feelings about this book. First off, I am a vampire through and through but I thought I would give this book a chance. I thought the whole lone werewolf thing would be a lot more interesting than it was. The dust jacket in my opinion is pretty misleading making the book out to be fully of excitement but it was a lot more depressing than it was made out to be. I do feel thought that the book picks up about half way through and becomes more like how the dust jacket describes it. The book is pleasantly filled with some great twists and surprises. I do not want to give to much away but vampires do come into the book but I feel like they were extremely under used. The author did do a great job with the writing making it so very detailed and complex that it required you to read the book carefully to fully get all the subtle discussions of emotions. The book also discusses a lot of life's problems and issues such as the will to live when you feel like you have nothing left to live for. The way the book was written was also pretty interesting specifically the fact that it was written as if it was a journal. Even though the book is the journal of the main character it is not written with days or times in fact the only time reference is the moon cycles. The book does seen to be a more modern version of Interview with a Vampire by Anne Rice but for werewolves. The only difference between the two is that you are reading a journal instead of an interview. The book does have a heavy suicide talk, which can be overwhelming at times. This is the first book in a while that I have had an extremely hard time grading. Overall, I would have to give this book a B-. I found this book as a hot read on my kindle. And at first, considering all the vampire hype recently, I was a little skeptic. 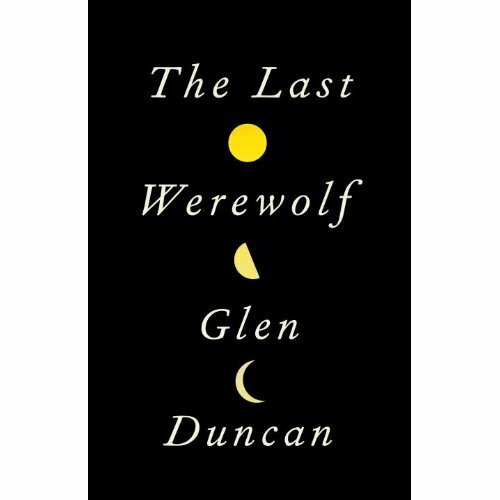 But as I continued reading the more i became enchanted by Glen Duncan's writing. He gives us a unique view of a lifetime of loneliness (or rather a few lifetimes). There are many cliffhanger's that leave the reader craving more. Besides twilight, vampire novels tend to lean more toward hypnotic seduction, whereas werewolves tap more into the inner beast within man. Although the language is a little heavy, this is a good read. I'd give the book an A-.